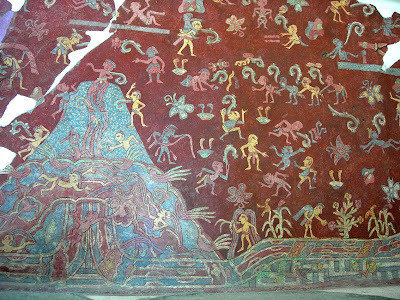 A photo of a section of a mural from the Tepantitla compound in the Mesoamerican ruins of Teotihuacan. There are apparently more than 200 speech banderoles in this scene. The unfurling question-mark like lines are they. 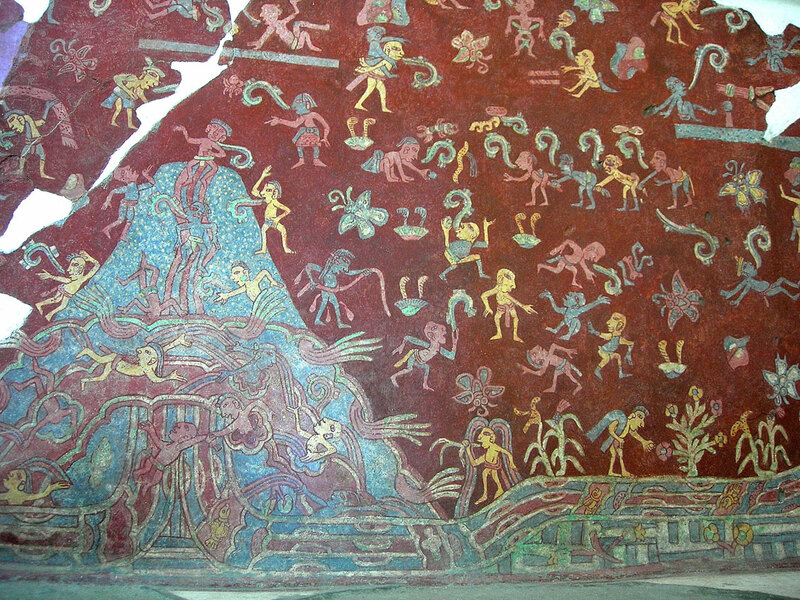 This photo demonstrates a little more obviously perhaps than the Olmec Stone of a previous post how Mesoamerican speech scrolls worked in context. (Found on Wikipedia).